In line for Toy Story at Hollywood Studios in Orlando. It turns out this ride is more video game than rollercoaster, but incredibly fun. It’s also probably the most popular in Disney World. Now if only Mr. 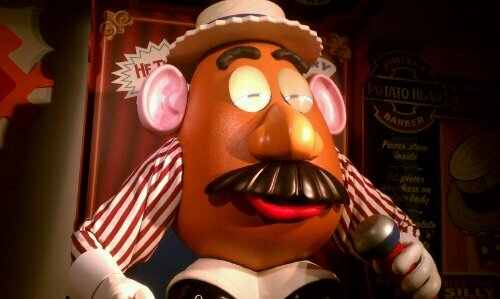 Potato Head didn’t blink when I took his picture!